In the course of the Afghan war, some die of suicide blasts and armed attacks while others agonize over horror, grief and traumatophobia. Every time explosives tear apart a pack of people and kill dozens, it hurts the entire 35 million citizens of Afghanistan that is from the severely grief-stricken closest ones of victims to totally unfamiliar Afghans that has been fed up with the culture of war. In this country, almost everyone, from elderly to children, has accustomed to watching the decapitated bodies of sufferers who has unluckily fallen victim to the malicious attacks. A myriad of cases not covered by the media reveal that the relatives of war victims have suffered immediate or later heart stroke or developed malignant diseases as a result of heavy depression and anxiety. Imagine such traumatic implications for the relatives of reportedly 100,000 dead between 2001 and 2014. Fatima, a resident of Kabul, lost her husband and son in a suicide explosion eight years ago and fell ill until diagnosed with terminal cancer caused by her loneliness and depression, and died two years later. She represents tens of thousands, if not millions, of identical or worst stories that have gone past inexpressively. Afghanistan’s traumatized population is not only living under the heavy weight of conflict, but an ocean of miseries taking roots from the strangling poverty, unemployment, physical illness, gender-based violence, drug use and judicial insecurity. The deep depression in Afghans is noticeable as they demonstrate reluctance to engage in secondary tasks or activities other than moving back and forth to work and home. 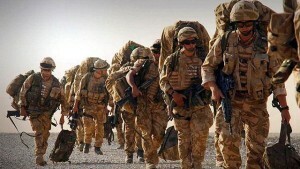 Afghans normally find it difficult to sleep at night after viewing the distressing spectacles of war and violence on the social media or mass media. Typically, a university student has to fight a ton of social and war-born disturbances before pointing the entire heed into studies. Many of countless father-orphaned children and teenagers bear the brunt of household costs and expose themselves to a variety of evils while earning a loaf of bread. A best-selling neurologist’s clinic in Kabul is flooded with daily patients, most of which are described with depression and post-incident disorders. 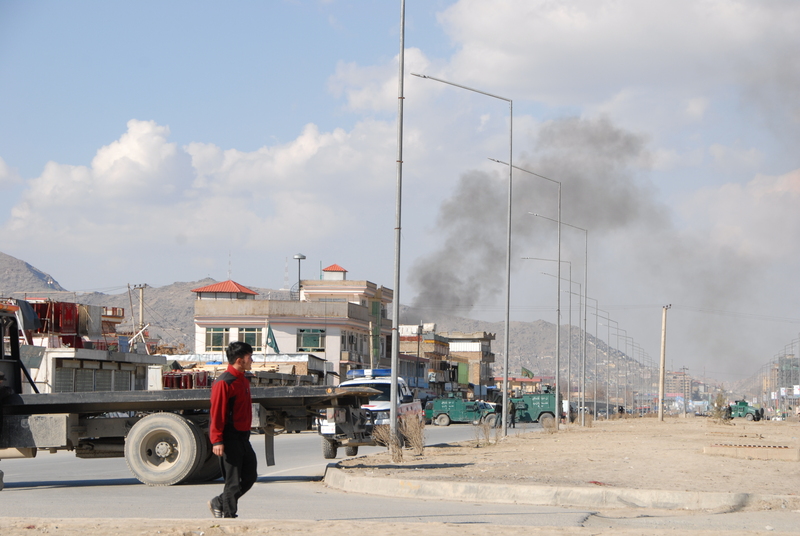 The residents of Kabul are embracing strange habits developed by the effects of war. In the wake of a spate of deadly bombings, the citizens grow warmer and take up warm-hearted attitudes to each other. Friends, unlike before, call for parties and joyful moments with a newly born mentality of “very imminent death”. Many elderly people try to strike up a chat with fellows in public places about the why’s and how’s of the deadly attacks. The entire nation is begging for truths that why Afghanistan is burning in the hell fire in an era when the modern world is achieving the extraterrestrial discoveries. They need honest folks to inform them about the secrets of the conflict, the untold of media. It could at least pacify their nervousness. In the broadly traumatic Afghanistan, the President Ashraf Ghani’s rhetoric speech to the people about its intents of defeating terrorism is widely dismissed as “ridiculous”. In his recent peace council address, he claimed that his government would track and hunt the militants even in their holes. In a separate televised response, an outspoken Afghan political expert, Ahmed Saeedi, hit back at the president’s comments and said that it is sufficient for him to prevent a suicide bomber from reaching out to the heart of Kabul. In 2010, the Afghan ministry of public health and WHO released the results of a study that more than 60 percent of the citizens of Afghanistan are enduring mental health disorders that has been blamed on conflict, insecurity, poverty, unemployment and addiction to drug. That proportion might have mounted by half as the insurgency has seen dramatic tide ever since. A fraction of the psychological problems come from the use of chemical weapons in any point of the time as of 2001. Earlier, reports had surfaced of the birth of deformed or dead babies in parts of Afghanistan where mothers had been exposed to the radiation of the chemical weapons. The weapons have also caused bleeding from the ears of victims. For instance, the Mother of All Bombs [MOAB] dropped on eastern Afghanistan on so-called ISIS strongholds has caused psychological disorders for the locals and has even killed the plants. The war can also be held responsible for giving rise to injustices, illiteracy, and joblessness, underdeveloped or no psychosocial healthcare facilities at all that each individually has a hand in underpinning the epidemic of mental health problems. In an Al-Jazeera report about the horrors in Kabul following the deadly ambulance suicide blast, many people are now keeping a piece of scribbling in their pockets or purses to tell about their family contact number, work address, blood group and other urgent details that might be required in case they sustain injury or even die in a terrorist attack. Coupled with the psychological harms of the armed conflict is the debatable issue of migration. In the years before and after 2014, a great proportion of Afghan population poured out of the country. It might be incredible to believe that each bloody terrorist attack, notably in the capital Kabul, is prompting a wave of migration. The residents calmly deliberate about the possible avenues to flee the country’s violence. Reports have emerged that several of the Afghan refugees deported by Germany with a belief that Afghanistan enjoys fair security, have been killed or injured in separate bombings. Afghanistan has already undergone the “brain drain”. The young people of the ongoing generation who previously refused to leave the country have twisted their mind especially with the latest events and now look into the foreign world as the only ray of hope for life. More like Western mainstream media, Afghanistan’s media has failed to go critical on the US and NATO atrocities in the country. From TV channels to print media, all are blindly following in the footsteps of the Western media and the US trajectory. The Afghan media, wittingly or unwittingly, feeds false and gross news reports to its darkened audience that has added up to the misfortune of trauma and migration. However, the Afghan media and the government in harmony with their Western allies have been striving cautiously to reverse or cut the effects of the tragedies by disguising the dim and grim future of Afghanistan as a promising and peaceful one. But thanks to social media now at the reach of a majority of Afghans, it is too late for the government and mass media to effectually restore public confidence into functioning governance and hopes for peaceful Afghanistan. It is unfortunate that alongside the social media’s advantage of telling the people about untold news, the barrage of bad news being posted on Facebook on a daily basis is stirring up a new wave of fears. Now the cornerstone question of the matter is whether the media of countries steeped into bloody wars should or shouldn’t broadcast the harrowing images of war and ruins in a fashion that spark public fury? Afghanistan’s government and media and some activists may agree with the latter “No”, only because it causes mental health disorders and fuels migration which is an utterly absurd answer. Indeed, it is a bid and pretext to cover-up the war crimes. Despite these resulted downsides, the portrayal of true and real situation is helpful in provoking and setting the victim nation into motion for revolts, revolutions and critical movements that eventually end up to the benefit of the nation itself.